ZPIC Audit Defense Lawyers - Oberheiden, P.C. Oberheiden, P.C. advises clients from across the country with ZPIC audits, OESSA forms, and hospice and home health certifications. Our team of former federal health care prosecutors, many of which previously held positions involving oversight of ZPIC audits and related issues, offer clients a wealth of government and private practice experience when it comes to avoiding and defending civil and criminal health care investigations, and ZPIC audits in particular. The primary purpose of a ZPIC Audit, as opposed to a random inspective audit, is to identify fraud. If a provider is selected to undergo a ZPIC Audit, it is either because it is already the subject of a fraud investigation, or ZPIC is seeking to gather more information to determine whether such an investigation should be opened. Therefore, providers should recognize that a ZPIC Audit is never random and should practice utmost vigilance in promptly and effectively responding to documentation requests from ZPIC. Almost all providers are susceptible to the intrusive demands of a ZPIC Audit. This is because ZPIC auditors are responsible for investigating all Medicare-related fraud claims involving Parts A and B (hospital, skilled nursing, home health, provider and durable medical equipment claims), Part C (Medicare Advantage health plans), Part D (prescription drug plans) and coordination of Medicare-Medicaid. ZPIC has assigned an auditing group for each of seven different regions which include all 50 states, Puerto Rico, American Samoa, the U.S. Virgin Islands, Guam, and the Mariana Islands. ZPIC auditors have far fewer limitations on the kind of information they can obtain and the means they can implement to obtain it than any other audit that is performed by CMS. When Medicare has enough reason to suspect fraud to institute a ZPIC Audit, the rules and regulations give it all the tools it needs in order to confirm the suspicion. It is important that while maintaining an utmost degree of cooperation, providers seek guidance from legal counsel about their rights against overly broad or impractical government requests. Nonetheless, Medicare providers need to know some of the explicit allowances granted to ZPIC auditors in order to avoid fruitless objections that can make the audit process more lengthy, costly, and caustic than it needs to be. First, providers must know that there is no look-back period on ZPIC Audits. The rules and regulations allow the OIG to request documentation from any prior coding by the provider, regardless of changes in business practices or personnel since the original code was billed. Second, ZPIC auditors have no limit on document requests. It is in the provider’s best interest, therefore, to make documentation as well prepared and as easily accessible as possible. Doing so can avoid significant costs and delays throughout the course of the ZPIC Audit. Third, ZPIC permits auditors to collect information on-site from various people and departments at the provider’s place of business. The auditors may visit the provider’s site without notice and may interview the provider’s employees and beneficiaries. Though this may seem unreasonably intrusive to many providers, it is important that providers comply with such requests. Fourth, ZPIC auditors use complicated data analysis methods that are difficult to assess for accuracy. For example, auditors often use probe sampling, statistical sampling & extrapolation. In order to ensure that these methods of analyses have been instituted accurately and fairly, providers should consult legal counsel that has substantial experience in dealing with such investigations. Finally, and perhaps most importantly, providers must know that ZPIC auditors have the right to withhold payments from federally-funded programs. For providers that rely heavily on federal payers, this can be the most detrimental aspect of a ZPIC Audit. Withholding of payment is often an area where negotiations can be of greatest benefit to the provider. It is important for providers to know what authority auditors have during and after a ZPIC Audit and how they are reimbursed. Understanding the motivations and capabilities of auditors, and how those two factors interact, will help a provider better understand how to be cooperative while also ensuring a fair audit. As stated above, auditors can withhold payments of bills submitted by providers to Medicare. The Medicare Program Integrity Manual states that a payment suspension may be used when there is: (1) reliable information that an overpayment exists, but the amount of the overpayment is not yet determined; (2) reliable information that the payments to be made may not be correct; and (3) reliable information that the provider fails to furnish records and other essential information necessary to determine the amounts due to the provider. The manual notes that in cases of suspected fraud, a payment suspension may be used when there is a credible allegation of fraud. Therefore, ZPIC auditors have strong discretion in determining whether to withhold payment. Providers must know this and be prepared to account for this reduction in revenue. ZPIC auditors may seek recoupment from the provider even if the investigation does not lead to a case if the auditor determines that the provider was overpaid on any particular bill or bills. Recoupment may be ZPIC’s strongest tool short of referral to the DOJ or OIG for further investigation or prosecution. 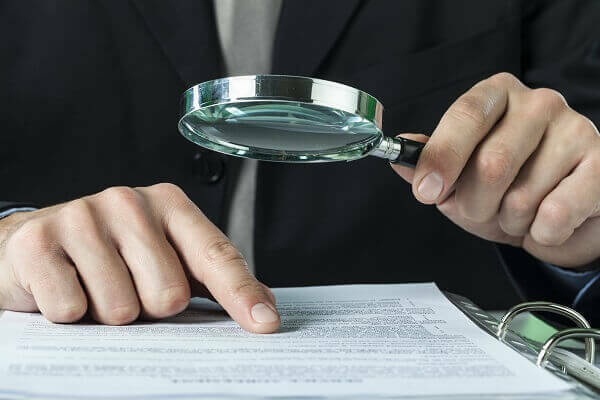 If the auditor demands recoupment, it is critically important, from both a legal and business standpoint, that each bill is reviewed in depth. Demands for recoupment can be more extensive than necessary, depending on how the recoupment amount is calculated. Reviewing each bill on which recoupment is demanded is critical in ensuring that the provider is not paying more than necessary. Understanding how auditors are reimbursed can help providers both keep them accountable and help them conduct the audit as efficiently as possible. Although ZPIC auditors are not paid on contingency fees, performance bonuses do exist. Providers must understand that ZPIC auditors, unlike in other randomized audits, begin the performance of their job with a suspicion of fraud, and are searching to find evidence to back up their suspicion. It is important that in that effort, providers are forthright and cooperative, but also vigilant in keeping a check on the auditor. This can be done by maintaining a chronology of all communications with the auditor. With this understanding, and an understanding of the other factors mentioned above, a provider will be well-informed and prepared for any demands of a ZPIC Audit. Thousands of ZPIC Audit requests are made every year. Oberheiden, P.C. has extensive experience advising and counseling clients during the ZPIC Audit process. The Firm also has an impeccable track record when it comes to achieving favorable outcomes in ZPIC Audits and avoiding referral to the Department of Justice for further investigation or prosecution. The experience of our attorneys, many of which served the Department of Justice until recently as supervising health care fraud prosecutors, covers all aspects of health care compliance as well as effective defense strategies. Because we know what type of information the government is looking for, we can prepare our clients to avoid common mistakes. It is troubling to learn that you have become the target of a federal investigation, for obvious reasons. Clients come to us after carefully considering their options, especially with respect to which law firm they will retain to represent them. There are several reasons why clients consistently choose us to represent them. Federal law works very differently than the local laws of the various states. Even federal law itself differs somewhat by jurisdiction. Unlike most attorneys, our attorneys enjoy decades of experience practicing federal law. This expertise allows us to help you defeat a federal investigation – or provide regulatory compliance guidance – in order to head off an investigation before it ever begins. Our decades of federal experience greatly benefit our clients every single day. It wouldn’t be complete, however, without a clear understanding of what is going on inside the minds of the opposing party. We understand the federal government strategy and mindset because several of our attorneys joined us after successfully serving as federal prosecutors for years. When you become the target of a federal investigation, the stakes are potentially immense – bankruptcy, poverty, the loss of a professional license, or perhaps even incarceration. Years of experience and superior legal strategy don’t matter at all unless they lead to a favorable ultimate outcome of your case in a timely and cost-effective manner. Our track record speaks clearly – in fact, many of our clients have been elated to find that their investigation has been concluded with no civil or criminal liability. If the federal government prioritizes its investigation against you, it will take advantage of its nearly unlimited resources to assign a team of investigators, federal agents, and prosecutors to your case. At Oberheiden, P.C., we know that two can play at that game, and we will respond by assigning your case to a team of attorneys who have been working cohesively together for years. At Oberheiden, P.C., our absolute commitment to our client’s cause is the primary virtue that makes everything else work. We would not be fit to handle your case if we didn’t treat it with just as much urgency as we would treat an investigation where we were the targets ourselves. Our team has successfully defended business owners, health care executives, and medical professionals through ZPIC audits and other cases involving the Federal Bureau of Investigation (FBI), the Medicaid Fraud Control Unit (MFCU), the Office of Inspector General (OIG), the Department of Justice (DOJ), the Department of Defense (DOD), the Internal Revenue Service (IRS), and other law enforcement agencies. Call us today and speak to one of our experienced ZPIC Audit attorneys directly. We are available to discuss your situation in a free and confidential call, including on weekends. Will the Results of a ZPIC Audit Be Shared with Prosecutors? Who Will Handle Your Medicare Audit? Medicare audits can be stressful. The experienced ZPIC and Medicare attorneys of Oberheiden & McMurrey LLP assist medical providers, clinics, home health and hospice agencies, and hospitals with all audit aspects, including RACs and appeals. We have avoided referrals to the U.S. Attorney’s Office and prosecution in 100% of our clients’ cases. Call our experienced attorneys today for a free and confidential case assessment.